The 20Twenty Business Growth Programme develops and enhances the business growth and leadership skills of owners, managers, leaders, key decision-makers and Team Leaders of businesses in North East Wales. The AFTP (AgriFood Training Partnership) provides opportunities for professionals working with and within the agrifood and agri-environment sectors to access the latest relevant research from Bangor and 5 partner Universities through a wide variety of Masters level courses and workshops tailored to their needs. Arloesi Pontio Innovation (API) exists to stimulate economic growth, connecting the region’s innovators, inventors and entrepreneurs with world-leading knowhow, skills and research. Business activities include product development, design and prototyping, training, and support to identify new thinking, methods and processes. BEACON builds integrated 'Green Supply Chains' with a focus on developing new routes to functional, cost competitive products using biomass rather than oil. This is done by understanding and engaging with businesses to cultivate and then deliver 'Green Technology Solutions' to benefit industry across a range of sectors. B-Enterprising aims to help students and graduates be more enterprising whether they want to be self-employed, freelance consultants or in regular employment. If you have started your own company, perhaps you'd like to share your experiences with our students and graduates. The BioComposites Centre undertakes collaborative research projects to develop sustainable bio based technologies that will minimise the impact of materials on the environment, working with Large Multinationals, SMEs, micro businesses and Research Institutes interested in lowering their Global Warming Potential (GWP). The BlueFish Project's aim is to develop knowledge and understanding of the marine resources of the Irish Sea and Celtic Seas by addressing knowledge gaps regarding the effects on and potential vulnerability of selected commercial fish and shellfish from predicted climate change. The BWR Hub and Network aims to gather experts and expertise from across the UK with an interest in the science and technology underpinning BWRs. It is a multi-disciplinary network, sharing knowledge and expertise between the Universities and industrial partners. CALIN (Celtic Advanced Life Science Innovation Network) is a network for life-science businesses which gives them the opportunity to engage with University centres of excellence, health-boards, multi-national business firms and other life-science businesses. Canolfan Bedwyr offers a number of Welsh courses for those who wish to improve their written and spoken Welsh, aimed at businesses, agencies and organisations who are keen to develop their workforce’s confidence to use their Welsh language skills in the workplace. Canolfan Bedwyr's Language Technologies Unit develops digital language resources and tools for the Welsh language and multilingual situations in general. The Unit is responsible for Cysgliad, a popular software package that comprises of a Welsh language spellchecker and grammar checker as well as a collection of comprehensive dictionaries. The Unit is also developing speech technology for the Welsh language. The Centre for Environmental Biotechnology (CEB) is a capacity building project dedicated to the bioprospecting and discovery of novel enzymes of industrial biotechnological relevance from microorganisms from extreme environments. The Centre for Evidence Based Early Intervention (CEBEI) conducts training and research on programmes and materials that aim to improve childhood experiences. The Centre for Mindfulness Practice and Research offers and promotes good practice in the delivery of evidence-based mindfulness practice to all who want it regardless of economic, social, religious or political boundaries. Bangor University's Conference and Events Services offer an extensive range of venues, which provide the perfect setting for events, whether it’s a residential conference, day meeting, exhibition or an awards ceremony. Customers can choose from a variety of refreshments packages which are designed to exceed expectations. The competitively priced facilities are managed by experienced team and include year round accommodation which starts from £27.50 per night and which can be booked online. Short courses and continuing professional development (CPD) opportunities through the Dementia Services Development Centre (DSDC). Bangor University's fabLAB in the Pontio building gives businesses access to training and self-help prototyping. Take an idea and make it real, prototype, develop products, start a business, make a crowd funding video, collaborate, inspire and learn – that’s fabLAB! GO Wales Achieve through Work Experience supports young students on higher education courses in Wales who face barriers in accessing work experience to develop and refine their employability skills. This is relevant for employers who can host tailored, flexible work experience for students. Bangor University's Health & Wellbeing Public Lecture Series cover a wide range of topics from stress management, nutrition in children to chronic disease management. The lectures are attended by an audience of not only employees in the health sector but also by the general public. ICPS (The Institute for Competition and Procurement Studies) provides procurers and suppliers with a focused learning pathways to a University or Professional qualification. Knowledge Transfer Partnerships (KTP) facilitate the transfer of academic knowledge and expertise to real life business projects in order to improve performance and profitability. KTP can run from 3-36 months and involve appointing a newly qualified graduate to deliver the project. The Marine Centre Wales is a national resource designed to meet the need for integration of research, innovation, commerce and policy in the marine sector. 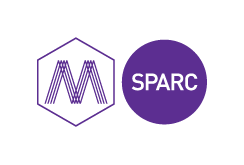 The Menai Science Park (M-SParc), a wholly owned subsidiary of Bangor University, is Wales’ first dedicated Science Park to drive growth in knowledge based science in North West Wales, with a focus on sustainable energy and technology. The North Wales Business Academy (NWBA) provides support to business leaders across the region by equipping them with the skills, tools and knowledge required to manage a growing business and workforce. The Nuclear Futures Institute is developing a world leading capability in nuclear science and engineering. This will establish North Wales as a global centre in nuclear technology; fostering industrial links and opportunities. The research at Bangor University’s Physical Activity for Health and Wellbeing Centre (PAWB) focuses on improving knowledge and understanding of the impacts on health and well-being of regular physical activity, physical inactivity and sedentary behaviour. The Profi project is an experiential learning and mentoring programme designed to support Year 12 pupils in local secondary schools. For more information please contact Kim Jones k.a.jones@bangor.ac.uk. The Santander Universities SME Internship Programme provides funding to support students and graduates to help them gain valuable work experience in small and medium sized businesses. The SEACAMS2 project supports developing economic opportunities in Low Carbon, Energy and Environment through specialisation in commercial application of research and innovation in marine renewable energy (MRE), climate change resilience and resource efficiency in Wales. The Shellfish Centre is a research & innovation initiative supporting development of the shellfish sector in Wales. SMART Partnerships offer financial support to innovative collaboration projects that require a range of expertise to help businesses grow, improve productivity and increase competitiveness. It is offered to Welsh businesses and Welsh Research organisations. Short courses and continuing professional development (CPD) opportunities through the School of Health Sciences. Supercomputing Wales aims to provide university research teams access to powerful computing facilities to undertake high-profile science and innovation projects within Cardiff University, Swansea University, Bangor University and Aberystwyth University. The SustaiNable Aquarium Project (SNAP) is a research programme which aims to improve aquarium breeding success. Bangor University’s Sustainability Lab has a range of real world expertise in environmentally and socially responsible business development and, through working with us, we can help businesses to develop new opportunities and fitter business practices that can deliver real benefits for people and the planet. The Management Centre is a residential training, conference and events centre that offers a range of flexible meeting and conference rooms available for hire. The Management Centre also offers 4* Visit Wales graded accommodation which is available to everyone. The Management Centre is home to the Chartered Banker MBA. Grwp Llandrillo Menai (GLlM) at The Management Centre with Bangor University offers a wide range of industry-recognised and professional qualifications which will develop your skills and enhance your employability. Bangor University's Welsh for Adults offers a structured and effective programme for adult learners of Welsh with a wide range of classes providing the learner with a clear progression route from one level to the next. Courses are available daytime and evening across Gwynedd, Conwy and Anglesey.